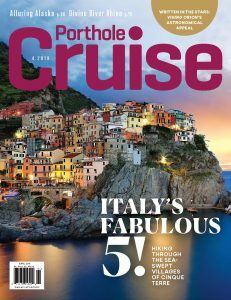 Welcome to Porthole Cruise Magazine! Thanks for coming aboard! Look Inside our Latest Issue! Available on iPhone, iPad, and iPod touch. Or subscribe by emailing: porthole@pcspublink.com, or calling – In the United States: (800) 776-PORT (7678) International: (760) 291-1550, 8:30 a.m.- 5 p.m. Pacific Time.